St. Marys, Ont. – The Canadian Baseball Hall of Fame will announce the winner of the 2014 Tip O’Neill Award in a press release that will be issued on Wednesday, December 3 at 9 a.m. E.T. 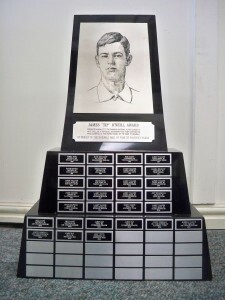 This award is presented annually to the Canadian player judged to have excelled in individual achievement and team contribution while adhering to baseball’s highest ideals.